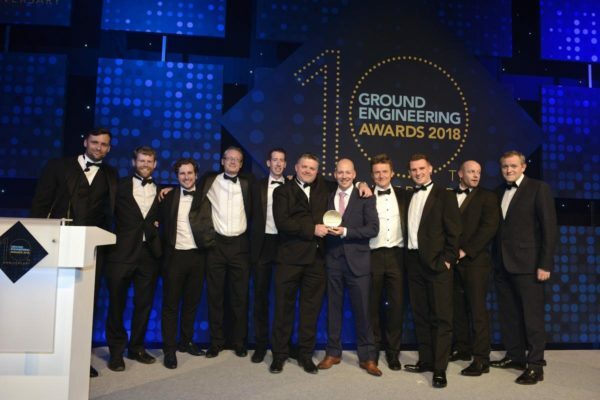 An outstanding team effort from Griffiths and Network Rail has won the UK Geotechnical Team of the Year category at the 10th Anniversary Ground Engineering Awards 2018. The award was presented in front of 800 guests from across the geotechnical and ground engineering industries gathered at the London Hilton on Park Lane, and was given in recognition of outstanding collaborative work done on the Cambrian Rock Cutting Campaign in North Wales where a number of rock and soil cutting assets were identified that presented a significant safety and performance risk to the operational railway. 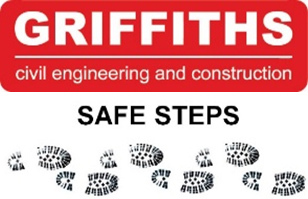 Speaking about the award, Shaun Thompson, Director – Rail at Griffiths said “We are delighted that a collaborative team that comprises the Griffiths Rail division, Network Rail Buildings & Civils Design Group, and Network Rail Infrastructure Projects Wales has won this key award at the UK’s leading event for the geotechnical industries. The Cambrian Rock Cutting Campaign is an excellent example of what can be achieved when partners are perfectly aligned in their approach and have equal passion and commitment to a project. Other companies shortlisted for UK Geotechnical Team of the Year included; Atkins – CH2M JV; Bam Nuttall Mott MacDonald JV; McGee, Arup and RKD; NNB EDF, Kier BAM, AECOM, Golder Associates; and Soil Engineering and HS2. The Cambrian Rock Cutting Campaign award entry attracted positive interest well before the GE Awards event. Jason Shannon (Senior Construction Manager– Rail at Griffiths) and Jonathan Fullilove (Senior Design Manager Geotechnical at Network Rail) have been invited to present a Project Focus at the forthcoming Transport Geotechnics 2018 technical conference which takes place in October. The 30 minute presentation in front of assembled geotechnical leaders and specialists will look at the specific technical challenges and contract set up of the Cambrian Rock Cutting Campaign.